Opiate addiction patients must receive medication assisted treatment to make it easier for them to cope with withdrawal symptoms. Suboxone is one of the medicines used to help addiction patients. 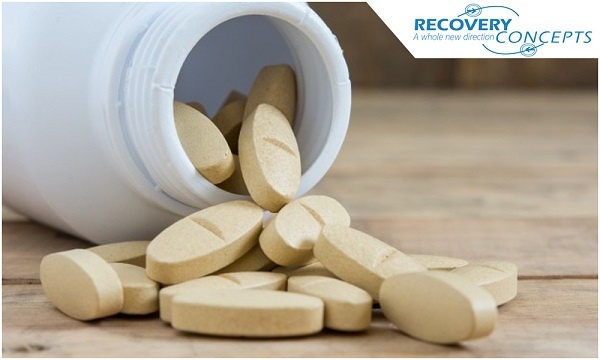 It contains buprenorphine and naloxone; it is highly effective at assisting opiate addiction patients especially in cases where the treatment is accompanied by professional counselling and care. It is always easy for patients to fight opiate addiction when receiving professional guidance from qualified suboxone doctors in our any of our facilities in Spartanburg, Greenville, Pickens, Anderson or Easley. It is advisable to work with a suboxone doctor who understands the need to adhere to the codes of practice when administering medication for chronic withdrawal treatment. Our qualified and experienced professionals at any of the recovery concepts clinics take patients through core guiding principles that make up the recovery process with precise set of actions that must be adhered to. This is because, all drug de-addiction programs have a possibility of triggering relapse due to the sometimes adverse withdrawal symptoms. However, medication assisted treatment at any suboxone doc clinic helps patients cope with the withdrawal symptoms safely. Medication is just one part of the de-addiction treatment. Patients must go through counselling and psychological support to help them cope with rehab and maintain a drug free lifestyle once the treatment is complete. Hence, treatment at any recovery concepts suboxone clinic in Spartanburg, Greenville, Pickens, Anderson or Easley is tailor made as per a patient’s requirements. Subixine addiction treatment aims at offering patients a moderate level of euphoria that is enough to help them cope with the withdrawal symptoms. It is administered to help patients fight physical withdrawal symptoms as well as the urge to get a fix. If a patient is still not able to control their urge for another fix, if they are unsure how to react to different feelings or are not sure how they feel when under de-addiction treatment, it is advisable for them to seek assistance at any verified suboxone clinic. Suboxone opiate addiction treatment is offered by a certified and professional suboxone doctor who understands the drug’s prescription requirements. Recovery concepts centers in Spartanburg, Greenville, Pickens, Anderson or Easley have certified physicians who examine patients to determine whether they require suboxone treatment or not. Therefore, if you are looking suboxone doc clinic, consider either of the de-addiction centers. However, recovery is never achieved immediately. It requires a number of counselling sessions while on treatment and patients will to change.